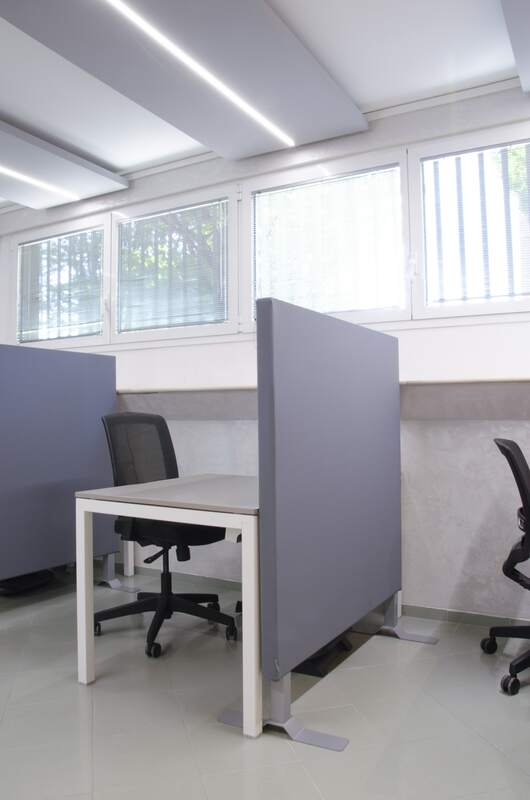 Thanks to the partnership with the authorized dealer Obbiettivo Arredo, Caruso Acoustic has recently installed its sound-absorbing panels at Computer Solutions Spa, an important Italian company, which has been dealing with research and development of software solutions for computerised waste management since 1988. 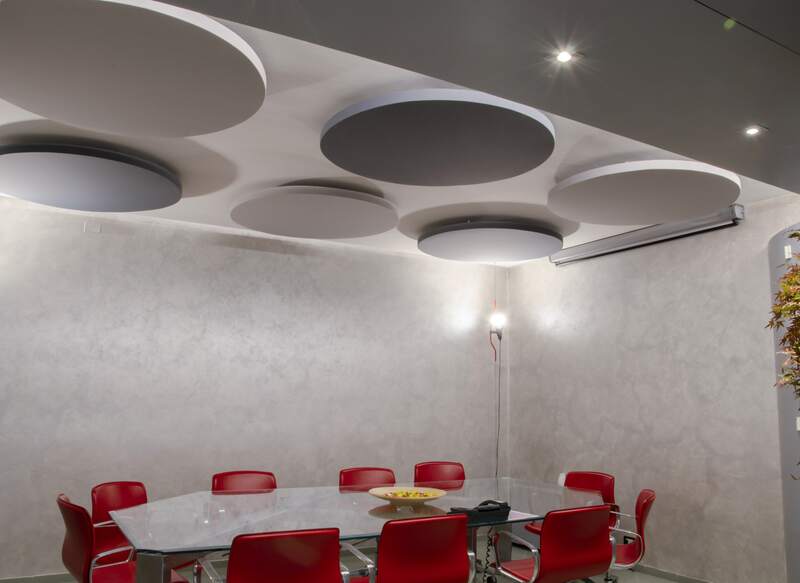 The supply, which is part of a more articulated project of lighting and acoustic redesign arranged by the dealer, has affected some offices and a conference hall at Marghera’s headquarters, in the province of Venice. 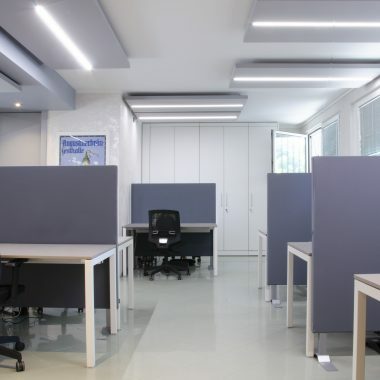 The space devoted to work activities is an open-space with about ten workstations, lighten by natural light on both sides. 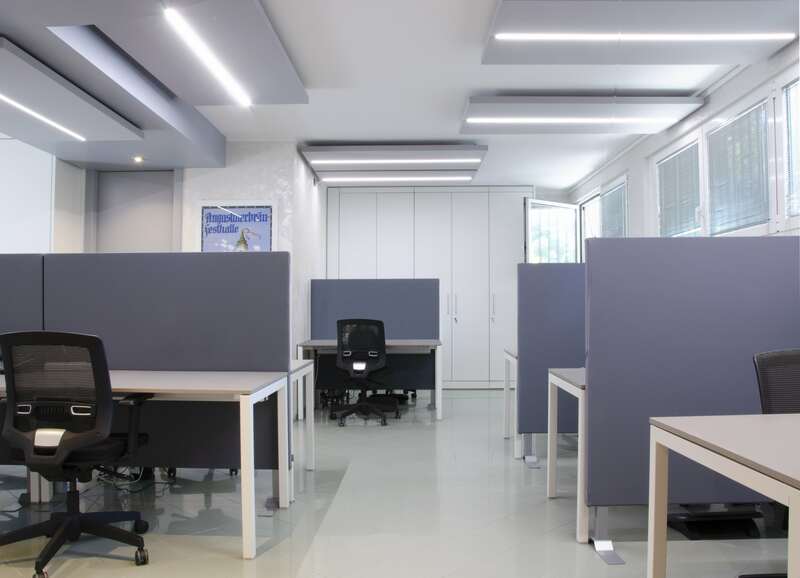 Silente ceiling-mounted sound-absorbing panels have been installed above the desks, so as to light them by means of LED systems integrated into the panels. 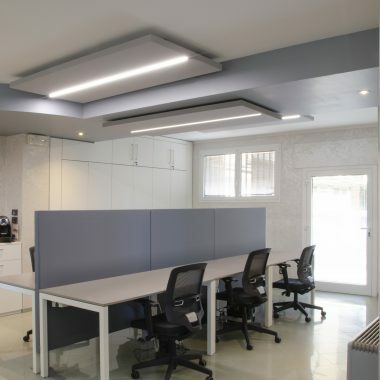 This feature has allowed avoiding additional lighting elements to the advantage of the room aesthetics, further lightened by the light grey of the panel fabric covering. 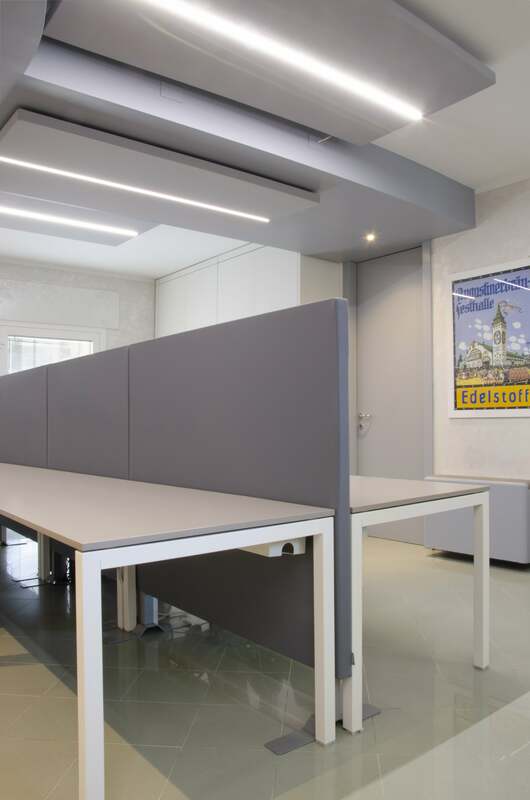 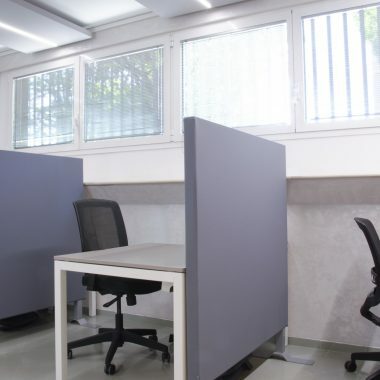 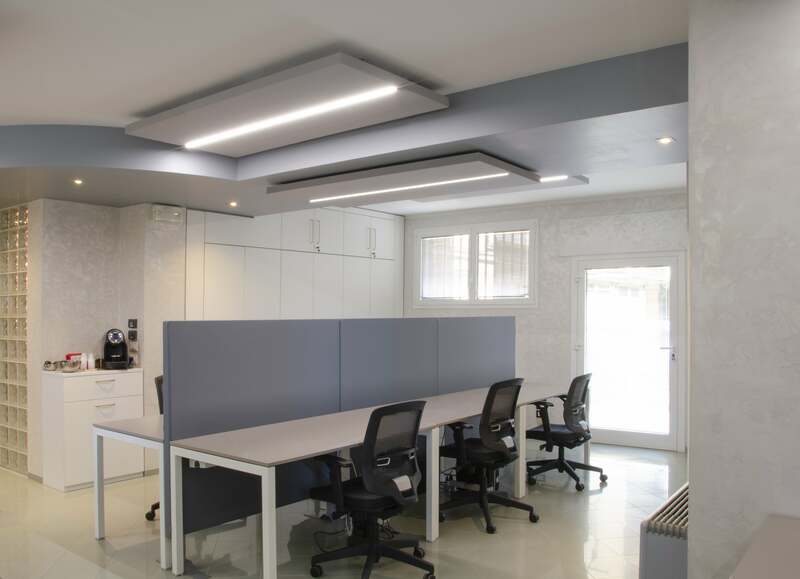 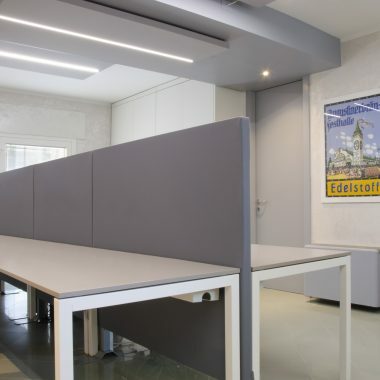 In order to mark out workstations and reduce high reverberation times – typical of open-spaces – D-Space panels have been placed between the desks, in the composition in the middle of the room and individually in front of perimeter desks. 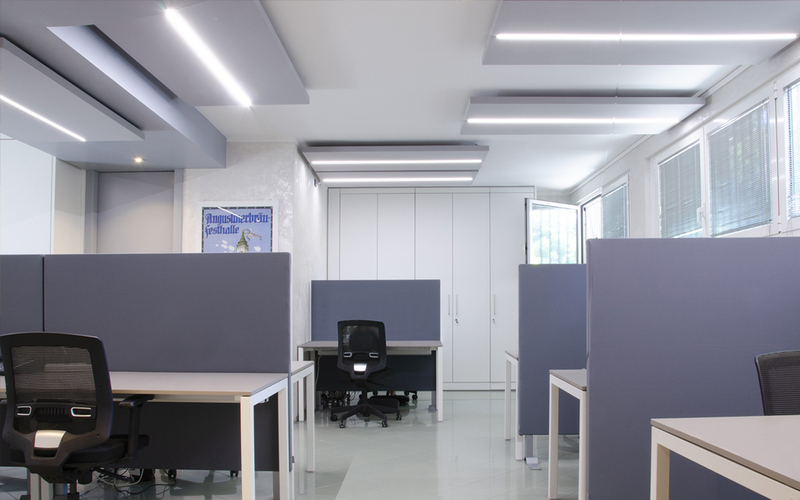 All D-Space feet are custom made to allow for height adjustment. 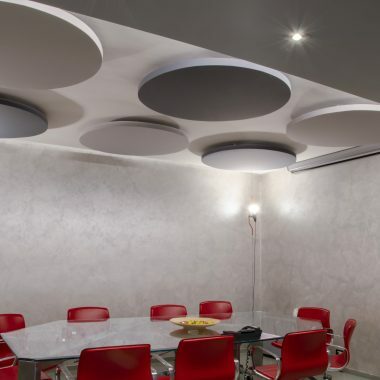 The same simple and minimalist style with two colour tones can be found in the conference hall, decorated with ceiling-mounted Dot sound-absorbing panels. 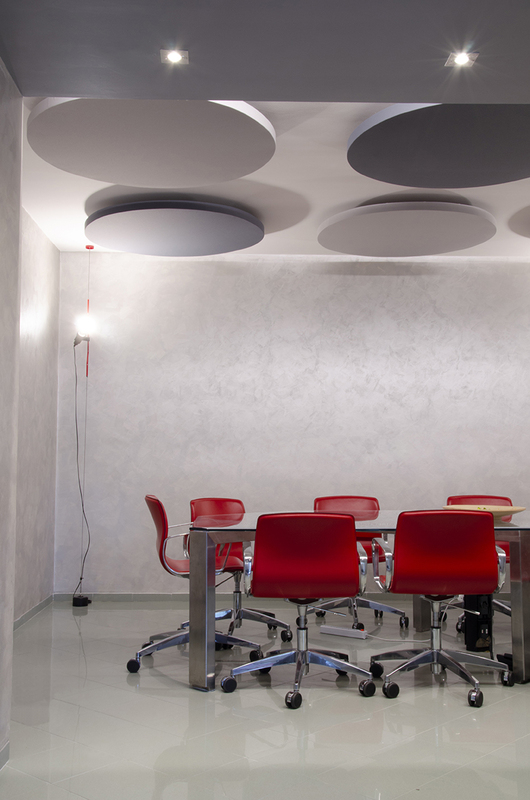 The elegant and soft lines of Dot panels blend with the environment and create a continuum with the wall colour. 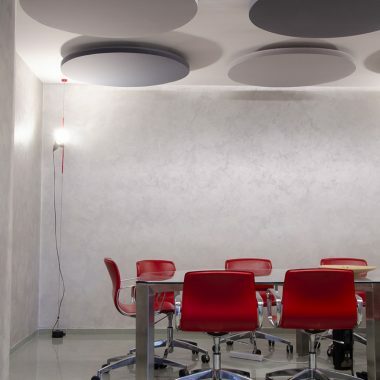 The harmonious and uniform distribution of the products concerns the whole room surface, thus ensuring the right level of acoustic absorption according to the intended use of the space.